Tiny Bunny Rabbits Make My Heart Sing. Photography wise I've been shooting some of the gigs I've been playing at, and learning how to best use my camera in low light settings (under exposed on 60fps and shooting RAW seems to be the golden settings) and how to edit these to be decent quality. I also have a bunch of grand creative plans, none of which I'm going to talk about here (I don't want the pressure of internet promises hanging over my head) What I will say is that long term these changes are going to involve a blog redesign and a bunch of other fun things!! 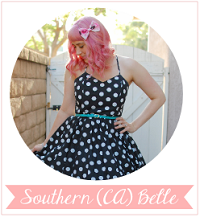 Finally, a little about the outfit: I made this dress a few months ago. I've been experimenting with knit material and walking feet, and this is what I came up with. It's a loose fitting dress, particularly around the sleeves and the waist. When my mental health is bad, I can't deal with fitted clothing, so that's why it's a loose dress. I adore the pattern. Teeny tiny bunny rabbits. That's all from me for the moment. Hopefully next time my posts won't be so far apart.